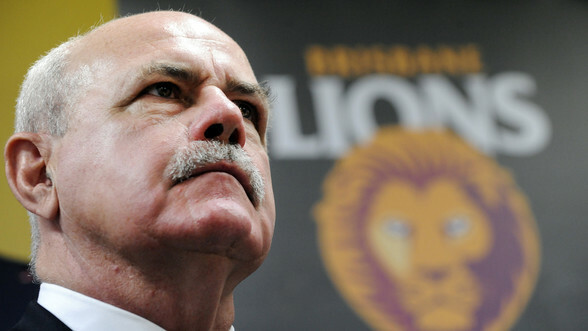 AFL legend Leigh Matthews says Fremantle and North Melbourne's decision to rest players for their round 23 clashes is disrespectful. Matthews warned fans would get a "second-rate product" from the games, with the Dockers resting 11 players and the Kangaroos omitting nine. "There's no doubt both Fremantle and the Kangaroos are disrespecting their round 23 fixtures," Matthews told 3AW's Sports Today program on Thursday night. "Fans who pre-paid for their tickets are getting a second-rate product in a lot of the games this weekend." Matthews said members of the AFL integrity commission had become tipsters who were banking on the Western Bulldogs to defeat cellar-dwelling Brisbane at the `Gabba on Saturday. "I'm amazed that the AFL think they can predict the results of games," Matthews said. "We know Fremantle can't move, but the Kangaroos can move (on the ladder) and the only reason the integrity committee thinks it's okay is they believe the Bulldogs will definitely beat the Lions. "The league has to find a way I think, for clubs to be more respectful of each fixture." The eighth-placed Kangaroos face the Tigers (5th) on Friday night and if results go as expected, they will meet again in the first week of the finals. But if Sydney are upset by Gold Coast or the Lions can cause a boilover against the Bulldogs, there could be ramifications for all clubs outside the top three. Fellow AFL great Kevin Bartlett said clubs were within their rights to rest players, but called on the league to change the rules. "The AFL might as well rip up those rules because North Melbourne they'll finish eighth, but by losing this game they know who they're going to play next week and they completely stuff up the Crows," Bartlett told the Nine Network. Carlton premiership coach David Parkin said the integrity of the competition had been "somewhat degraded.